CB41 and CB42 provide connector footprints for small- and medium-size Micro D connectors. 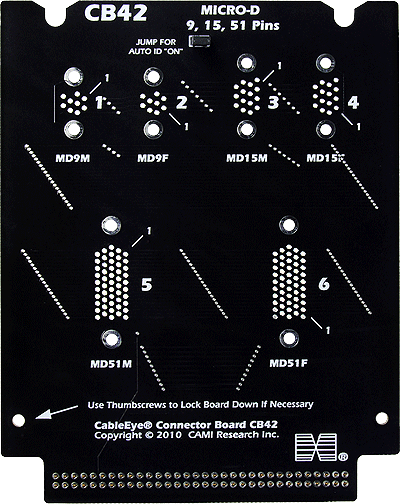 Each board offers positions for male and female connectors of each size. The price does not include connectors, and each board ships as a bare board. If the customer provides the connectors, we will solder them into position and test the boards for a nominal charge; contact us for details. Set of two boards.